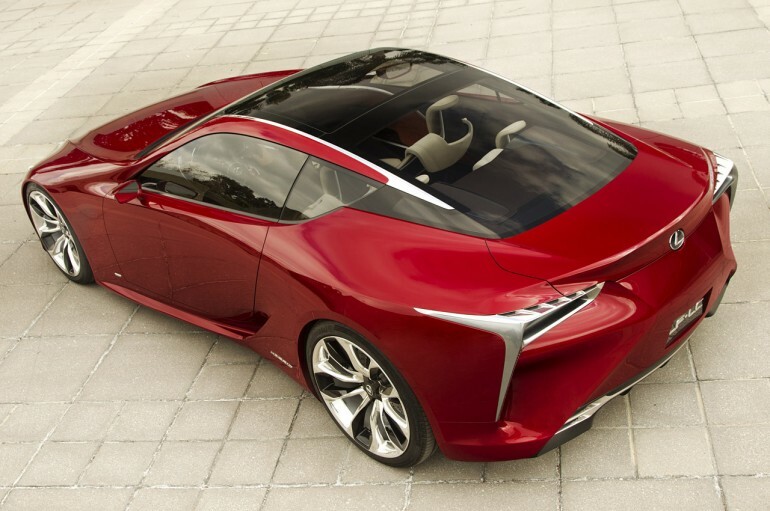 Japanese luxury auto brand Lexus finally revealed the LF-LC sports coupe concept at the 2012 Detroit Auto Show. 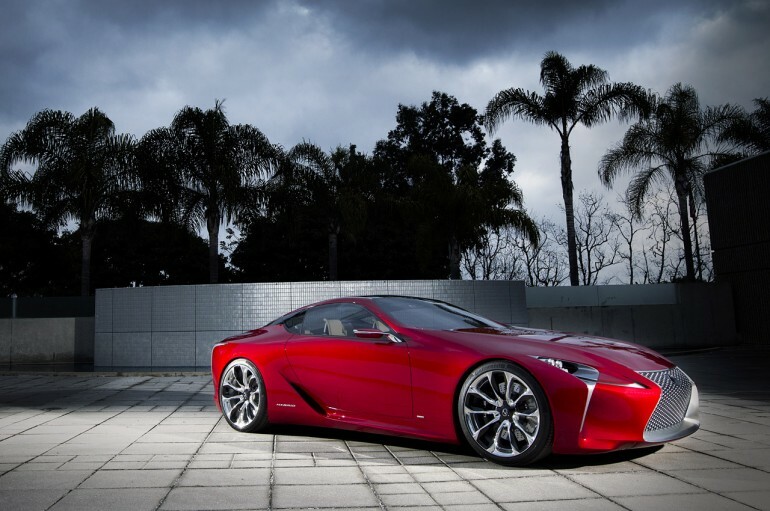 The all-new design pushes Lexus further into sports car territory and could provide a rival for established names such as Porsche if approved for production. With a low profile, large wheels and futuristic running lights, the LF-LC is clearly designed for ‘serious’ drivers, with quad exhaust pipes and tail lamps inspired by a jet afterburner at takeoff. 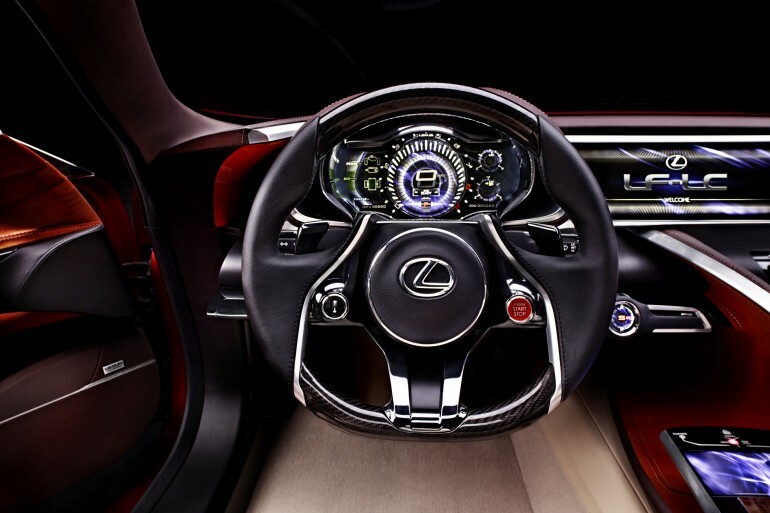 The model is currently a hybrid, Lexus says, although no performance indicators were offered with the rear-wheeled car. 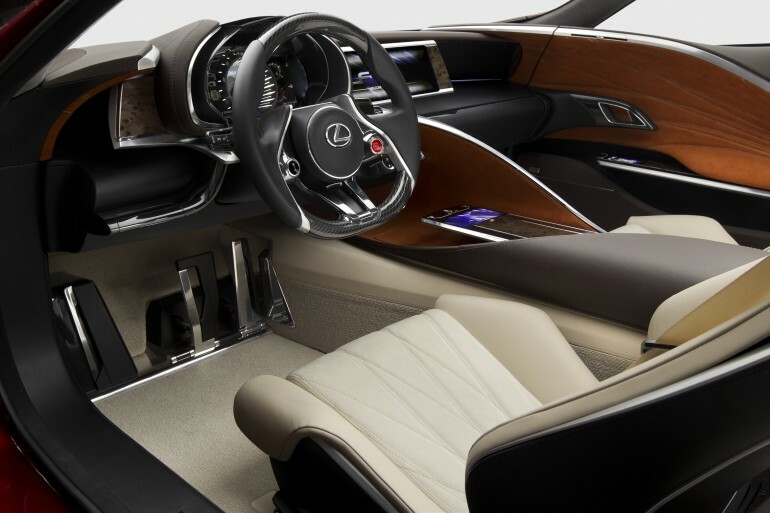 Inside, Lexus has included race-inspired front seats and a racing-style steering wheel, along with twin 12.3-inch LCD displays and high-tech touchscreen surfaces to control the windows, mirrors and seat adjustments. 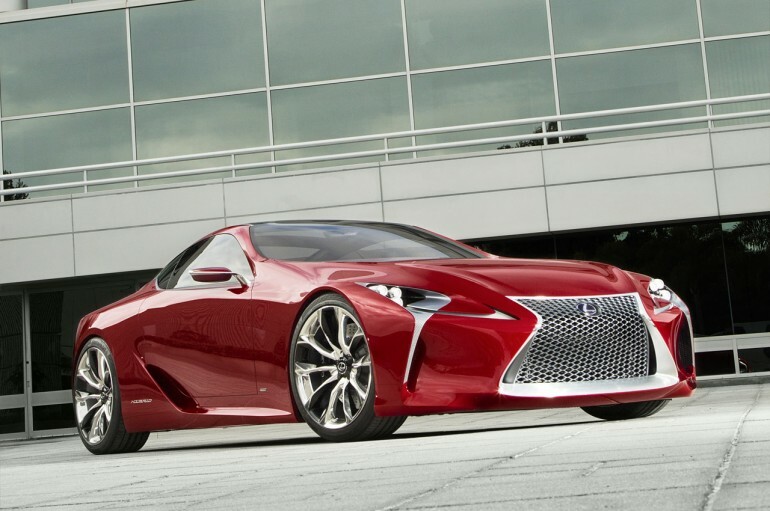 Lexus’s parent company Toyota also unveiled a new sports car in late November in a bid to shed its rather staid image.